Park Place Senior Living at WingHaven offers Independent Apartment Homes, Assisted Living, and a Memory Care neighborhood. Situated in WingHaven in O’Fallon, MO our beautiful community is just a short drive away from shopping, restaurants, and attractions. Come visit our community to see for yourself! 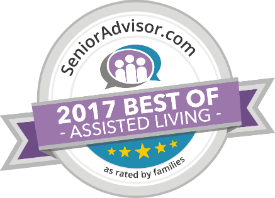 When memories fade, it’s the moments that matter most-and our award-winning embrace Senior Lifestyle memory care program exists to create moments that are altogether authentic and enjoyable. embrace isn’t just a program dedicated to memory care, but it is a real place and a welcoming neighborhood where experiences and personalities are brought to life. Residents are cared for in mind, body and soul through a coordinated, comprehensive approach to wellness, and our small-group programming is designed to address the unique needs that arise from memory loss and impairment. By connecting living spaces with leisure and recreation options that dovetail with residents’ abilities and interests, we create holistic experiences that spark both imagination and closeness. This ensures that the daily rhythm of life is filled with joy and serenity. Learn more about our five pillars and signature programs on our embrace page. Debbie brings over 30 years of experience in senior housing and health care to her role as Executive Director of Park Place Senior Living. Since joining the Senior Lifestyle team in 2015, her favorite part of her role has always been the interactions she has with the residents. Debbie is also proud of the staff team she works alongside at Park Place. For fun, Debbie enjoys traveling with her husband as she pursues her passion for photography. She’s excited for you to see Park Place Senior Living for yourself! I am loving the new community I am in. Everything is great here. I am happy with all that is offered. The food is okay but could be better. Park Place has changed my mother’s life!! She came to them living in a non-assisted care unit where her dementia took hold very quickly. Park Place and the employees embraced my mom and she is living a much more fulfilled life. She is dressed and in makeup each day. She is doing activities and eating her meals outside of her room! Our family can rest easily that she is safe and secure! We can not express what a wonderful feeling this is for us! Thank you!